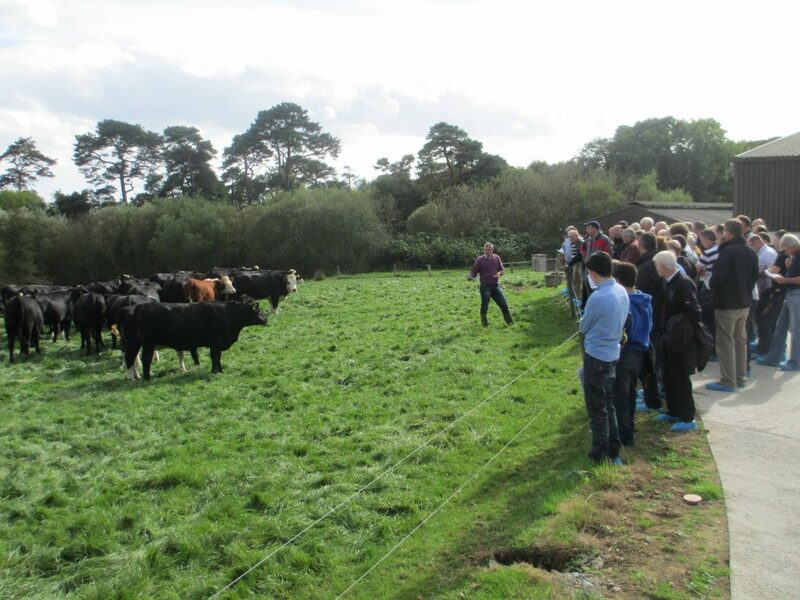 A group beef farmers from Counties Armagh and Down recently visited the Teagasc research centre at Johnstown Castle, Co Wexford to view the current research work on low input dairy bred beef systems led by Senan White and Michael Doherty both CAFRE Beef and Sheep Development Advisers. The visit was organised to provide those farmers currently rearing or considering rearing dairy-bred calves with an opportunity to identify main factors associated with improved production and profitability. The farmers were welcomed by Dr Robert Prendiville, Teagasc Beef Researcher, who explained the research work which is ongoing at Johnstown Castle in conjunction with several industry partners. Dairy bred Hereford and Aberdeen Angus cross calves are reared using a number of production systems and slaughtered between 19 and 26 months. The research has found that these breeds under a grass based production system finish at a young age and relatively low slaughter weight producing a saleable carcass with an adequately high level of carcass fat. During the visit Dr Prendiville explained that trial results to date have shown that there is potential to achieve quite high gross margins per hectare from these systems, particularly if grass is efficiently utilised. Many farmers came away impressed with the system. They realised however, that key to its success is efficient grassland management; sourcing sufficient numbers of these type of cattle and ensuring that a thorough dosing and vaccination programme is implemented on the animal’s arrival on farm. 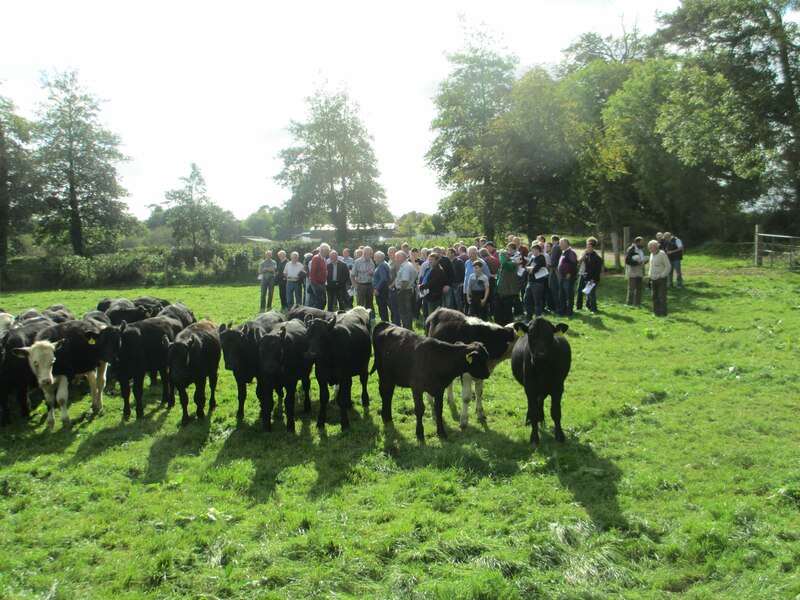 Michael Doherty, CAFRE, concluded by thanking the research team for a very informative and interesting presentation and farm walk. Michael also stressed that, irrespective of the beef production system used, efficient grass production and utilisation improves production efficiency and also helps to reduce greenhouse gas emissions and promotes the positive role farmers play in relation to climate change.